\"In 1967, I was working at IBM as a mail clerk in the office products division on Madison Avenue in NYC. Another employee helped me get some Marijuana rolled up in joints. Right after work, I walked down to the East River dressed in my three-piece suit and tie and lit up my first joint. I instantly fell in love with the calm feeling it brought to my whole being. I was 18 years old. In the 45 years that passed since my first joint I have found cannabis to be one of the most positive forces in my life. How it started I started growing cannabis in 1971 in southern Vermont. I owned and ran a vegetarian restaurant and bakery. As I became more aware of my diet, a deeper knowledge of ecology and its effect on the enviroment came with the territory. This naturally led to my growing cannabis in an organic eco-friendly manner. From that point on, I have been finding different ways to make my thumbs greener. Through the years This magnificant plant species has helped teach me the art of having and taking care of houseplants, the art of murturing, and the art of photography to name but a few. Far from being a demotivator, marijuana has become interwoven with many of my interests, and its influence has opened my mind to explore many I might have never other wise pursued. Although marijuana laws are never fair around the planet, I refuse to give up my right to have my sacrament and medicine constantly near me in the form of clothing, food, plants, paper and smoke. In this way I do my part to overgrow the whole darn place. 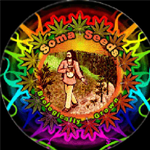 more about soma seeds\"